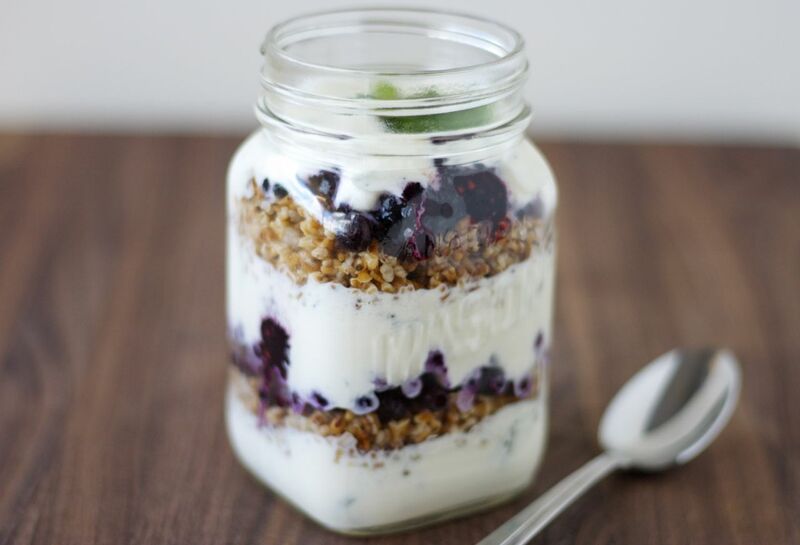 If seeing the word parfait made you think this recipe is unhealthy, think again. Let’s walk through this together. 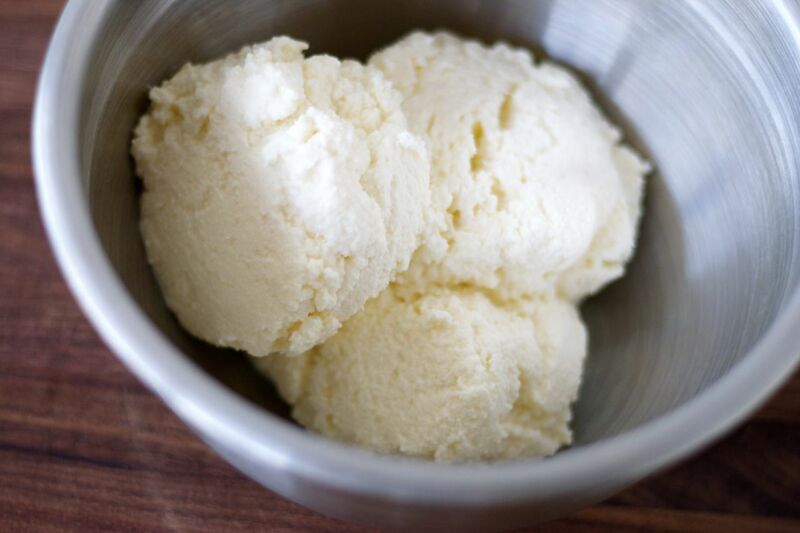 We’ve got ricotta cheese and plain yogurt, both low in fat and high in protein. 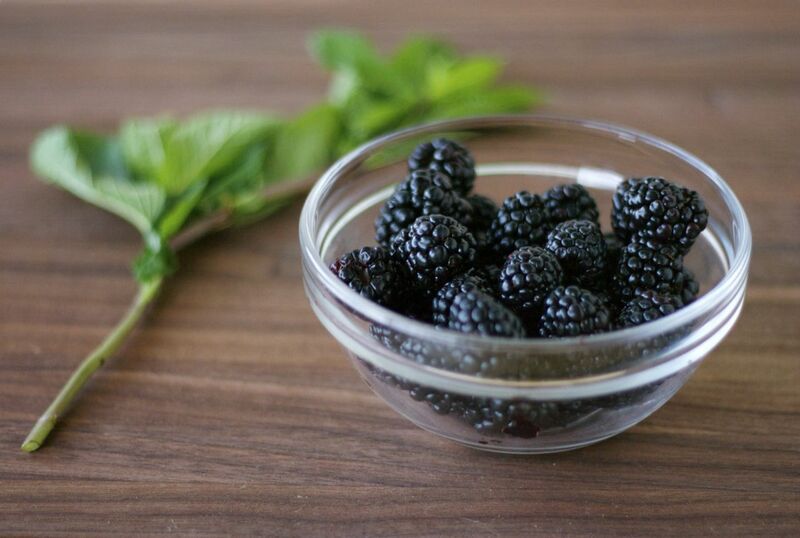 We’ve got fresh mint and blackberries – no problem there – and we’ve got steel-cut oats, for whole-grains and fiber. All that naturally sweetened with maple syrup. Whoo! This parfait is a serious boost of energy. While it’s not blackberry season here yet, I couldn’t help indulging. They’ve been plentiful in groceries lately (thanks to Mexico), and summer is another two long months away. On that note, I’m heading back to spring cleaning. Ciao! 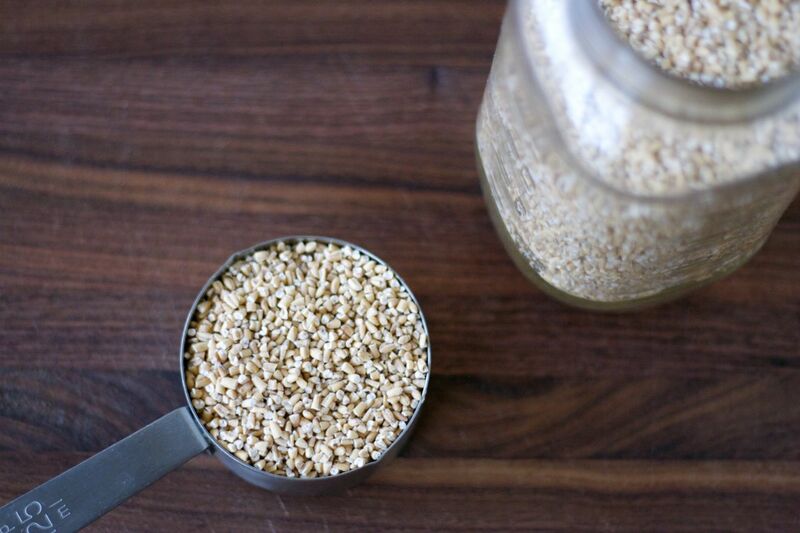 For the oats: Heat a skillet over medium-high heat until warm. 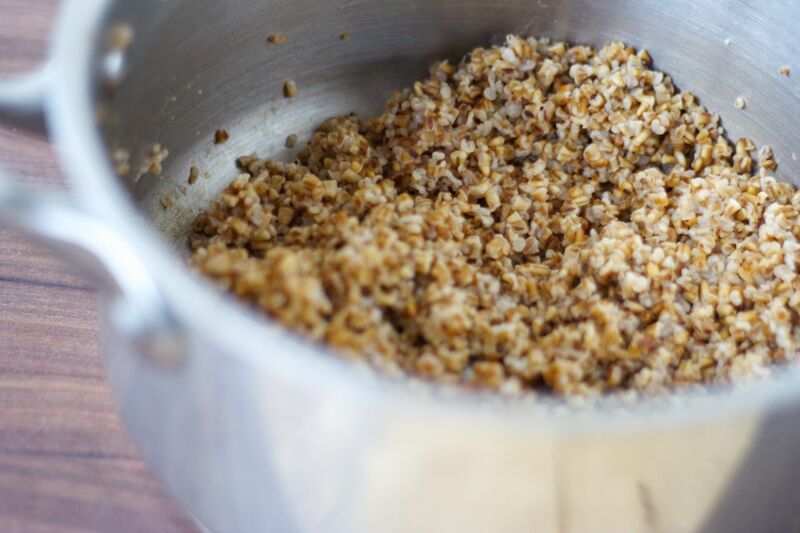 Add the oats, and toast, stirring constantly for 3-4 minutes until they are aromatic and a bit darker in colour. 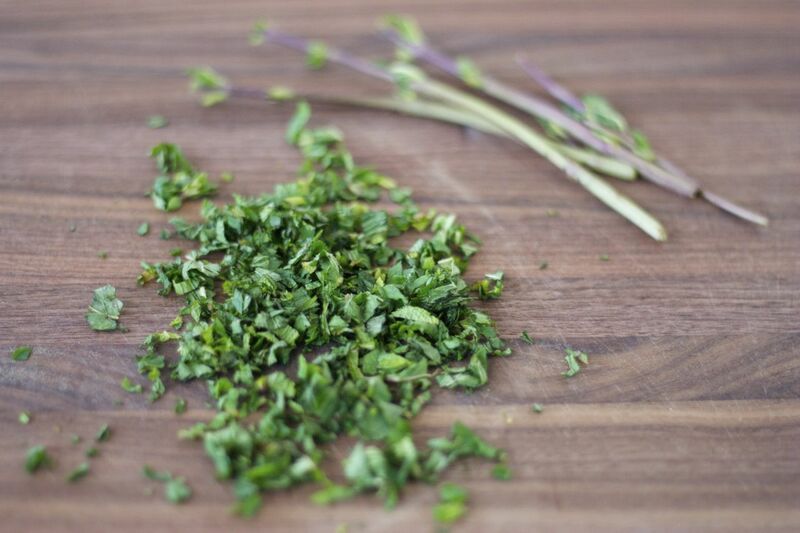 In a medium pot, combine the water and salt and bring to a boil. Add the toasted oats and lower the heat to a simmer. Cook, covered, for 12-15 minutes or until the liquid is absorbed and the oats are tender. Add more water as needed. Remove from the heat and let stand for 10 minutes, covered. For the ricotta mixture: In a medium bowl, mix the ricotta, yogurt, maple syrup and mint together. 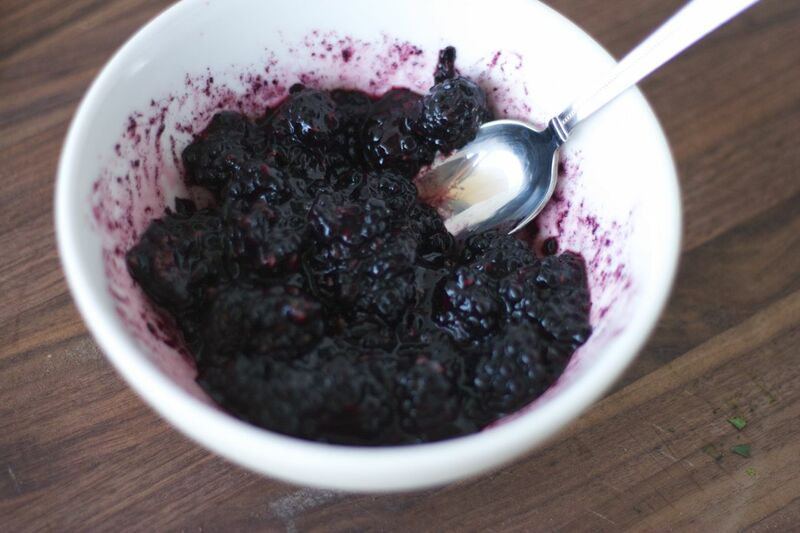 For the blackberries: Simply mash the berries roughly. To assemble: For each serving bowl / glass, start with a layer of the ricotta mixture, follow with a layer of oats and a layer of blackberries. Repeat the layers once, and finish with a layer of ricotta. Top with fresh mint. Eat immediately or chill until ready to serve. Serves 3-4, depending on the size of the serving bowl or glass. 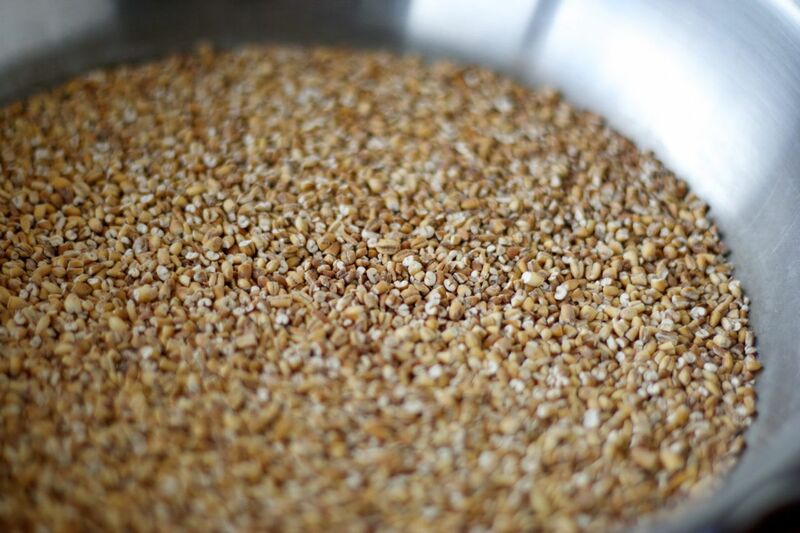 Recipe adapted from Lorna Sass’ Whole Grains Every Day, Every Way and Rebecca Wood’s The Splendid Grain.